Winter is just a few days away, and we have all seen homeless people in our areas and neighbourhoods. According to the Human Sciences Research Council, there are approximately 100 000 to 200 000Â homeless people in South Africa. Mandlenkosi* used to be one of these thousands of homeless people seeking refuge under bridges and trees. 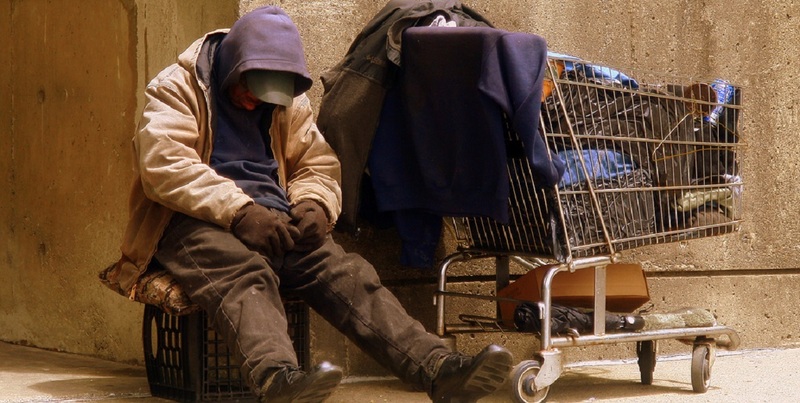 He reflects on the challenges of being homeless while trying to make ends meet. â€œI was homeless for four years after I left my family because of being into drugs and was starting out with theft and robbery,â€ he says. For Mandlenkosi and his peers, keeping warm in winter was an ordeal because they had to steal blankets from peopleâ€™s yards. â€œWe used to wear blankets and put plastic on top so that we could get warm. We steal the blankets from people who hanged them after they had washed them because there was no other way,â€ he says to The Daily Vox. Homeless peopleÂ in South Africa include roofless individuals, people who have temporary housing, and those who access overnight shelters. â€œI used to rob people [of money and their possessions] in order to make sure that I got food. It got to a point where I became so used to that, I was no longer struggling to buy food,â€ he says. With the winter season blowing in, there are many ways in which you could help keep a homeless person warm. Duan Edwards, branch manager of the Kempton Park Mould Empower Serve (MES), an organisation that offer assistance and support to the homeless, says some of the ways could include supporting the winter drives in your area. The MES, for instance, is running a national Hope for WinterÂ campaign drive where people can donate mainly clothes, shoes, blankets, and non-perishable food items. â€œSupport your local shelter by sponsoring a warm bed and by providing blankets and other daily needs,â€ he says.